Senior Instructor, Johnson & Wales University, Charlotte, NC. Catherine teaches culinary students about wine at Johnson & Wales, and also teaches certification courses for the Wine & Spirit Education Trust and the International Sommelier Guild. She owns a small, casual restaurant (that just celebrated it’s 25th anniversary! 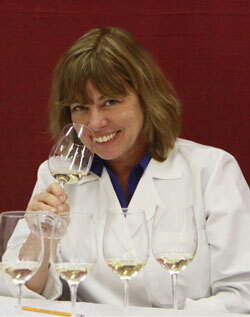 ), and greatly enjoys writing a wine column for her local paper, the Charlotte Observer.